Have You Been the Victim of Negligence in Maryland? If you or someone you know has suffered an injury, one of the most important and basic questions is who was responsible for the incident and nature thereof. Whether circumstances involved a common traffic accident or medical malpractice, there’s a good chance you may have a right to legal recourse on account of whatever injury was incurred—especially if negligence were involved. In the event you’re a Maryland resident seeking the assistance of a Charles County attorney, rest assured there’s help. Those who’ve been the victim of negligence shouldn’t go it alone. Legal skill and representation is likely essential. First, however, you should learn a bit more about negligence in order to determine whether or not you have a strong case and the extent to which it should be pursued. You also may wish to familiarize yourself more generally with personal injury law in Maryland. In order to prove that someone who injured you was negligent, you must also demonstrate they had a duty of care with respect to the activity in which they were involved. 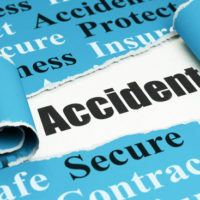 The simple fact that an accident occurred is not in and of itself enough to establish that another party was negligent. You must also establish that said party was essentially doing something they shouldn’t have, and that they should have known better. Once consideration has been given to whether the offending party had a duty of care in the first place, you must then prove there was a breach of duty—that, in short, they did something wrong as per every extent an obvious duty established the right course of action. Similarly, you must demonstrate cause in fact, meaning that the only reason you were injured was the other actor’s breach of duty. Put simply, if your injury would have occurred regardless of their negligence, that may be a problem for your case. Similarly, you must demonstrate proximate cause—which is to prove that nothing else were instead responsible for your injury. In other words, it must be clear that someone’s negligence actually caused your injury, and that it did not otherwise simply correlate therewith by happenstance. Finally, you must establish that the injury actually resulted in damages. Whether some kind of pain, suffering, emotional anguish or financial loss, damages can adopt a variety of forms. You should carefully and immediately catalog anything that may be perceived as direct or future damages in association with the injurious incident in question. Be careful to take note of anything you might have done that could be construed as being partially responsible for the injury. This may give the injuring party an excuse, itself considered contributory negligence. Once you’ve taken stock of what occurred and documented everything that you can—including, for example, contact information of any available witnesses—it is probably a good time to speak with an attorney right away. People make mistakes. Sometimes, however, they should have known better. When that kind of negligence has impacted you in a serious and injurious way, an attorney should represent your interests and assured the situation is redressed immediately. In the event you require the assistance of a Charles a County lawyer, get in touch with the Law Office of Hammad S. Matin, P.A. We will represent your interests professionally and with the kind of commitment you would expect from someone with your most basic rights at heart.